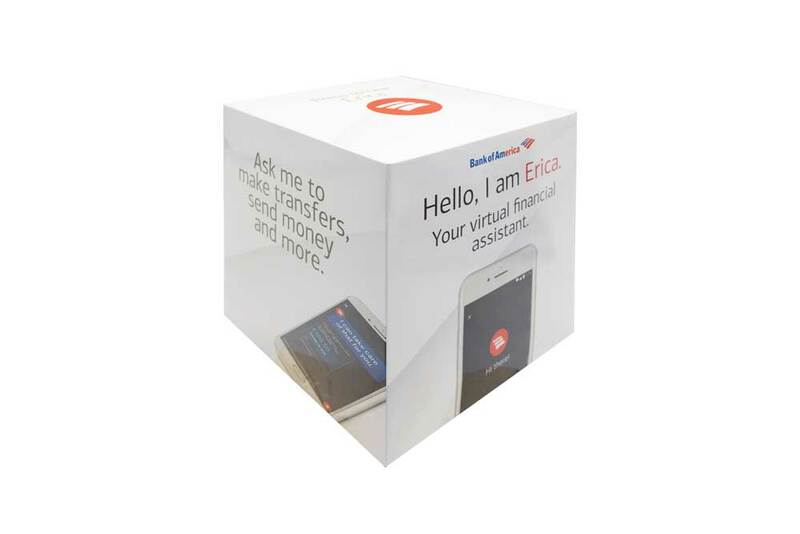 Bank of America was launching its new app and needed a strong in-branch communication piece to introduce customers to Erica, its new virtual financial assistant. Let Erica speak for herself. 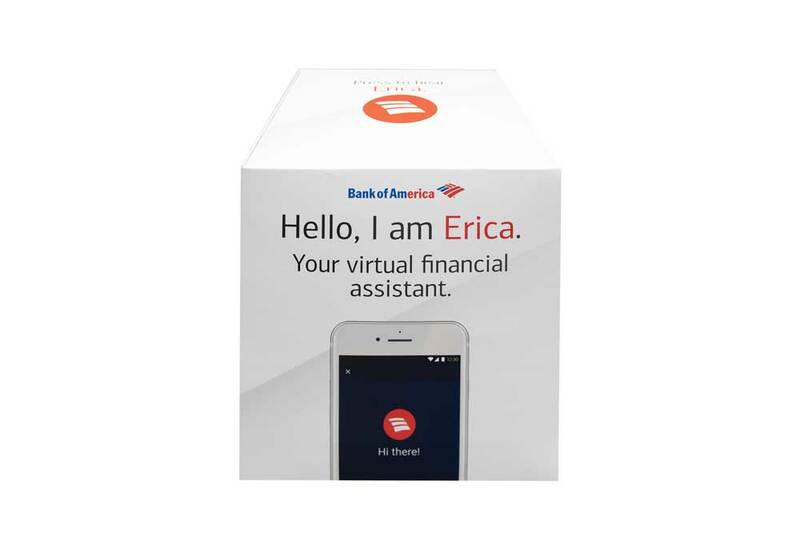 Working with BOA and its agency, Americhip designed an 8” cube with built-in electronics. 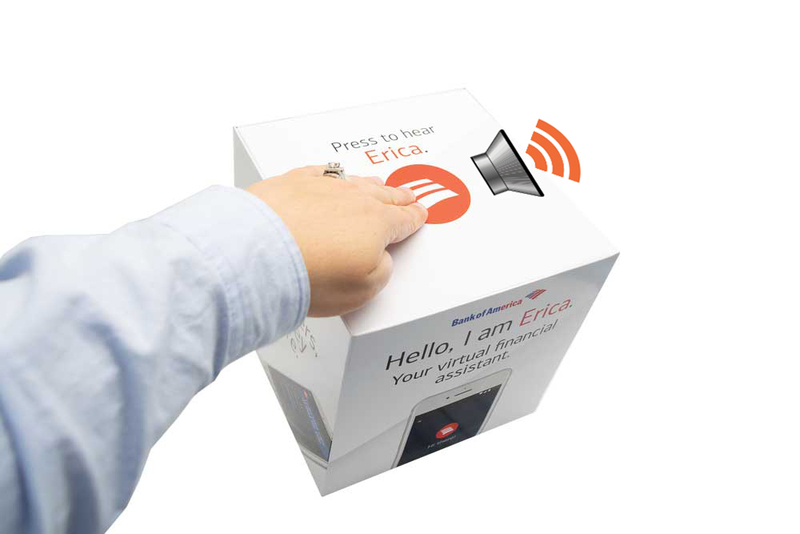 Consumers simply tap the top of the cube to hear Erica introduce herself. To minimize costs, our Paper Engineers designed a clever locking mechanism that allowed the audio unit to ship flat and then automatically pop into a 3-D Cube once in the branch. Engage and educate your customers at each branch office with an Audio Display from Americhip.